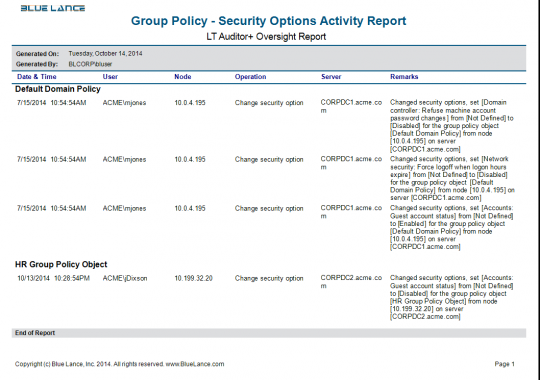 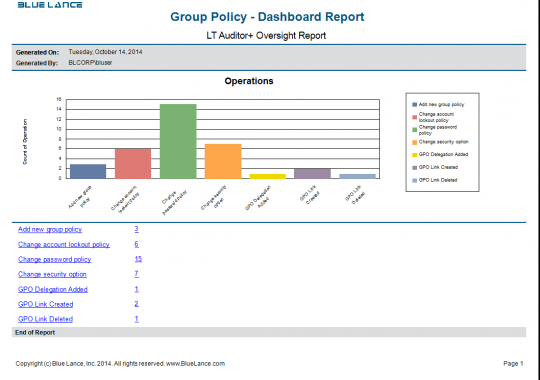 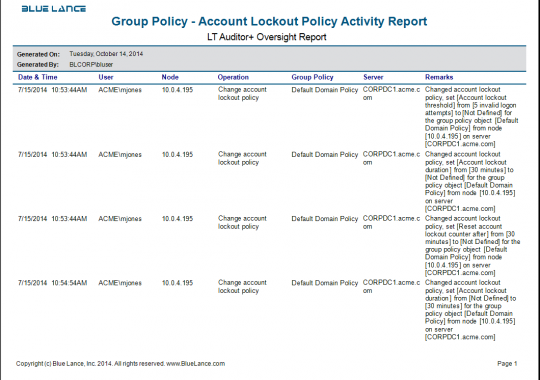 LT Auditor+ 2013 for Group Policy is configurable to fit seamlessly into any organization, large or small. 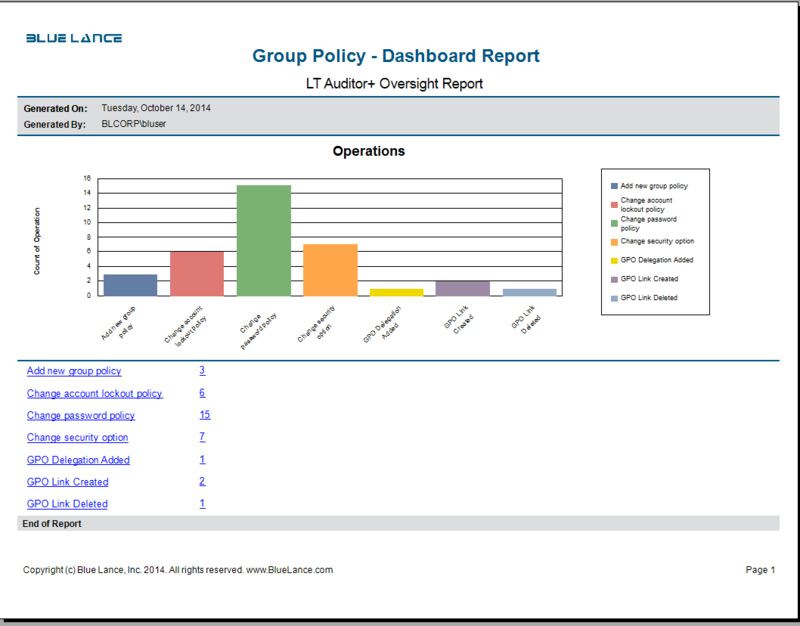 LT Auditor+ 2013 allows your organization to immediately reap the benefits of continuous security and compliance monitoring by enabling your organization to improve incident response time, provide comprehensive audit reports, meet compliance control transformation requirements, ensure privacy, confidentiality and integrity, all while saving time and money. 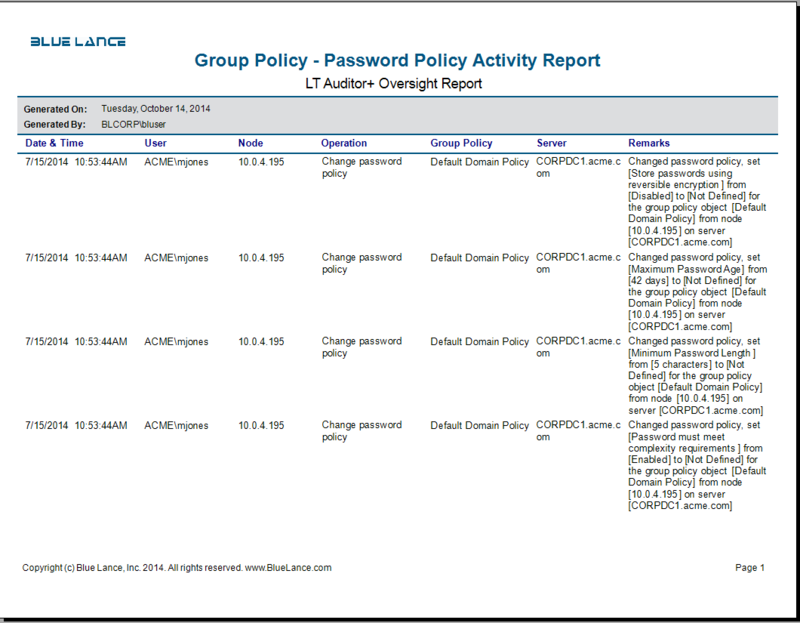 High Quality Data: Provides clear, concise information on who did what from where and when on all GPO objects within your Active Directory environment in human readable format. 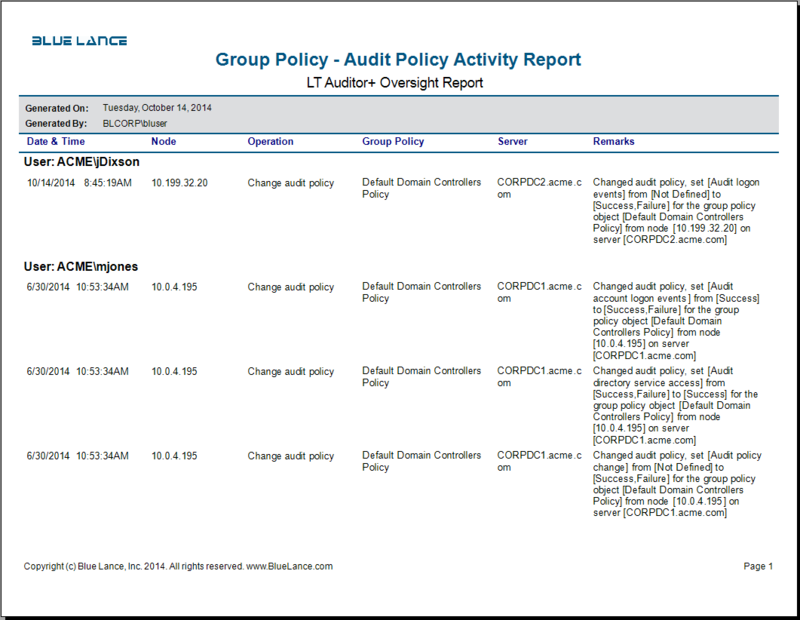 Policy Changes: Monitor changes to attributes of audited GPO objects and provides a record of before and after values for change control. 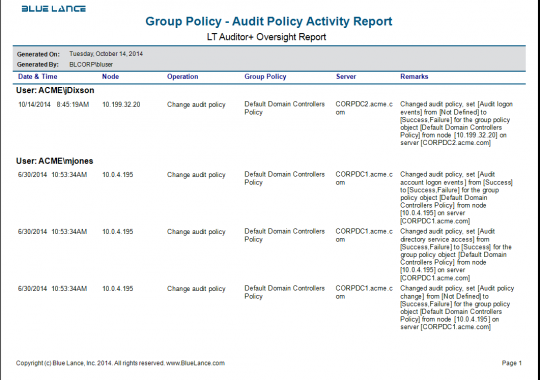 Simplified Management: Provides the ability to audit and monitor GPO objects across multiple Activity Directory forests from a single console. 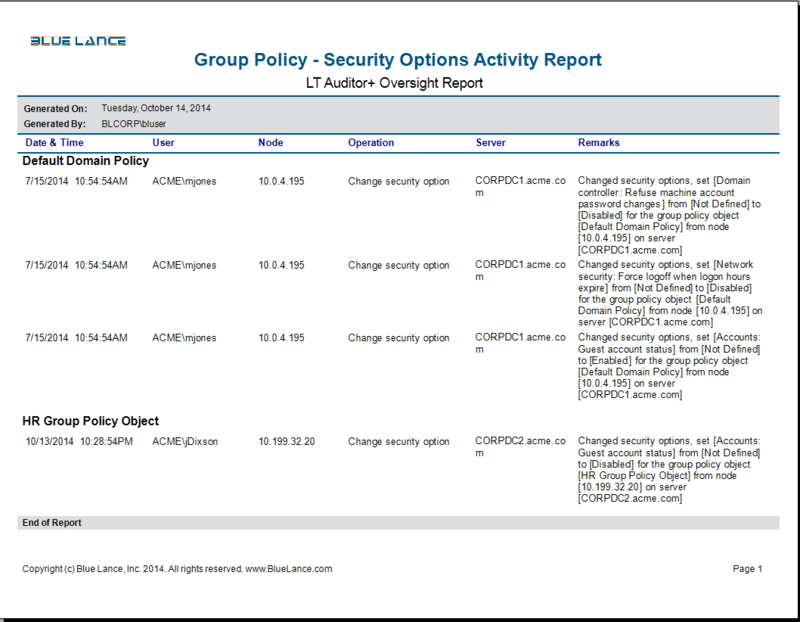 Real-Time Alerts: Get notified in real time when critical policy changes occur for any GPO object. 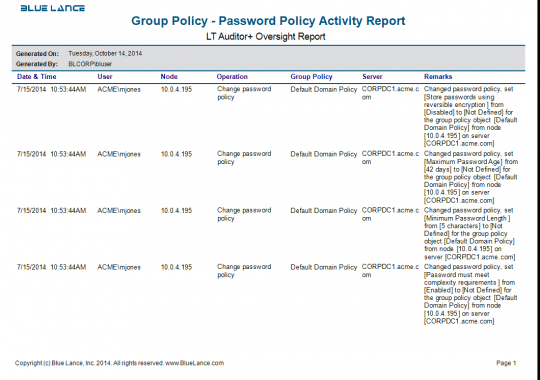 Events such as, changing Domain Controller audit policies, Account Password policies or Account Lockout policies can immediately notify security administrators to ensure faster threat mitigation responses. 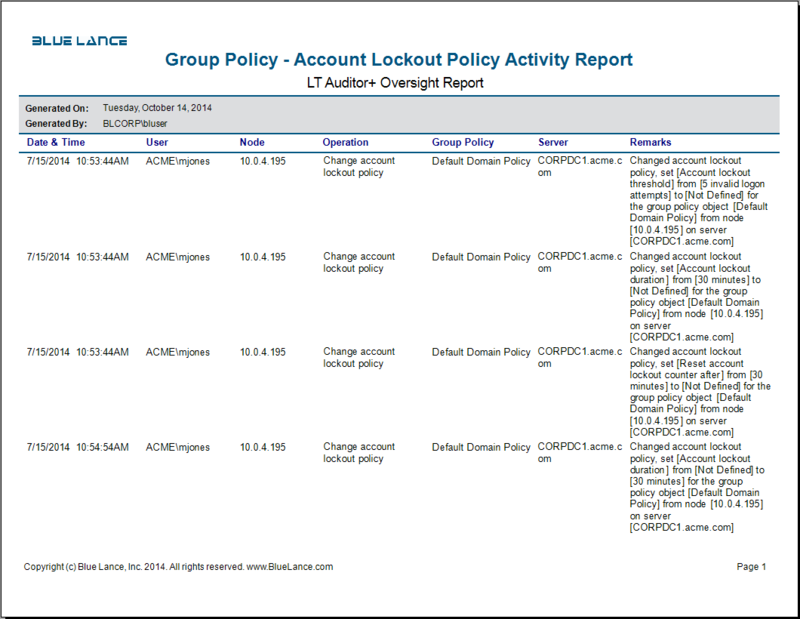 GPO Accountability: Provides a detailed record of who linked GPO’s to OU objects; who added, deleted or modified Delegations to a GPO and who changed critical security options that potentially violate organization security policy.